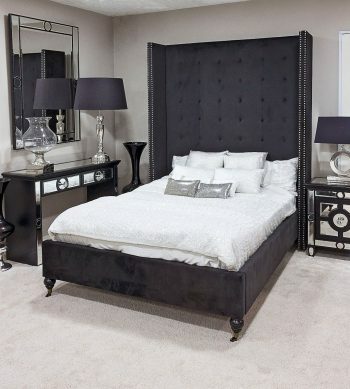 Ultra classy bed made from a sumptuous soft-touch velvet. With its 2 meter tall headboard, this bed stands out and catches the eye in a spectacularly stylish manner. Available in double or kingsize.